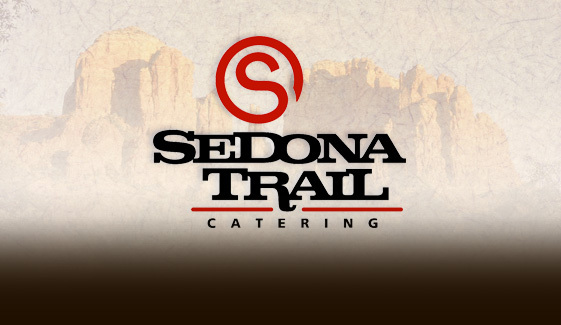 Outdoor Grill Sandwiches, Steaks, Chops, and Seafood Catering for Weddings, Corporate and Special Events for Phoenix, Chandler, Mesa, Tempe Arizona by Sedona Trail Catering, an Arizona company. My name is Dorine. You were catering at Hexcel in Casa Grande yesterday. Your food was so delicious I was wondering if you have a restaurant somewhere in AZ or are you strictly catering? ...our wedding was so awesome! . . . I can’t thank you enough for making it so much fun. You did a fantastic job! Gina P., an employee of a competitive caterer who hired STC to cater her own wedding reception. Thank you for assisting us with the Heart Beat on Canal Street event. We just thought your services were top notch and we will use you again. Thanks again. Thanks so much for all your help..everything turned out beautifully, Angelo was surprised and of course Debbie was happy. Take care. With cheese, lettuce, tomato, pickles, red onion and creamy horsey sauce on a ciabatta roll to hold it all together. Choose pork, beef or chicken and soak it in our Sedona Trail Barbeque Sauce over a fresh bakery roll. Also includes heavy duty disposable plates, napkins, utensils, serving tongs and spoons.